April 14, 2019 San Diego Padres recalled RHP Luis Perdomo from El Paso Chihuahuas. 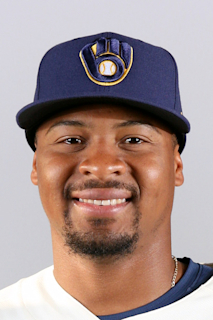 March 23, 2019 San Diego Padres optioned RHP Luis Perdomo to El Paso Chihuahuas. September 3, 2018 Luis Perdomo roster status changed by San Diego Padres. August 24, 2018 San Diego Padres sent RHP Luis Perdomo on a rehab assignment to El Paso Chihuahuas. July 28, 2018 San Diego Padres placed RHP Luis Perdomo on the 10-day disabled list. Strained right shoulder. July 4, 2018 San Diego Padres recalled RHP Luis Perdomo from El Paso Chihuahuas. April 20, 2018 San Diego Padres optioned RHP Luis Perdomo to El Paso Chihuahuas. April 18, 2018 Luis Perdomo roster status changed by San Diego Padres. April 14, 2018 RHP Luis Perdomo roster status changed by San Diego Padres. April 23, 2017 San Diego Padres activated RHP Luis Perdomo from the 10-day disabled list. April 12, 2017 San Diego Padres placed RHP Luis Perdomo on the 10-day disabled list retroactive to April 9, 2017. Right shoulder inflammtion. December 10, 2015 Colorado Rockies claimed RHP Luis Perdomo off waivers from St. Louis Cardinals. December 10, 2015 Colorado Rockies traded RHP Luis Perdomo to San Diego Padres for Future Considerations. August 8, 2015 RHP Luis Perdomo assigned to Palm Beach Cardinals from Peoria Chiefs. July 14, 2015 Peoria Chiefs activated RHP Luis Perdomo from the temporarily inactive list. July 11, 2015 Peoria Chiefs placed RHP Luis Perdomo on the temporarily inactive list. April 11, 2015 RHP Luis Perdomo assigned to Peoria Chiefs from Johnson City Cardinals. April 8, 2015 RHP Luis Perdomo assigned to Johnson City Cardinals from Peoria Chiefs. June 28, 2014 RHP Luis Perdomo assigned to Peoria Chiefs from State College Spikes. May 20, 2014 RHP Luis Perdomo assigned to State College Spikes from Palm Beach Cardinals. May 17, 2014 RHP Luis Perdomo assigned to Palm Beach Cardinals from Johnson City Cardinals. June 19, 2013 RHP Luis Perdomo assigned to Johnson City Cardinals from GCL Cardinals. August 2, 2012 Luis Perdomo assigned to GCL Cardinals from DSL Cardinals. May 28, 2011 Luis Perdomo assigned to DSL Cardinals.